Ichibancon was this last weekend in North Carolina! 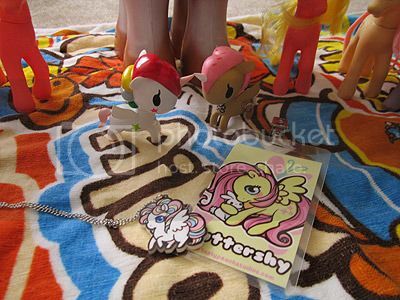 Right before I left, literally after I came home from work to grab the remaining stuff to put in the car, a package arrived... with PONIES. Just in the nick of time, because I needed them for my panel! 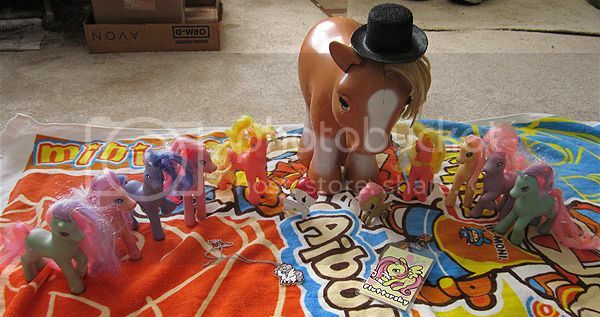 I held a pony panel on Friday night which went over pony history and some fun pony games were played. Pin the Tail on the Pony was sooo much fun. (The pony was Derpy) The winner got the pony which is printed on a huge printer and then glued on carefully to some foamcore. They also won a muffin! XD The biggest loser won a G 3.5 fakie from Dollar Tree. We did pony singalongs. Then I held a raffle for all kinds of prizes, like calendars, coloring sets, and ponies! Overall, it was a lot of fun and I can't wait to do it again. 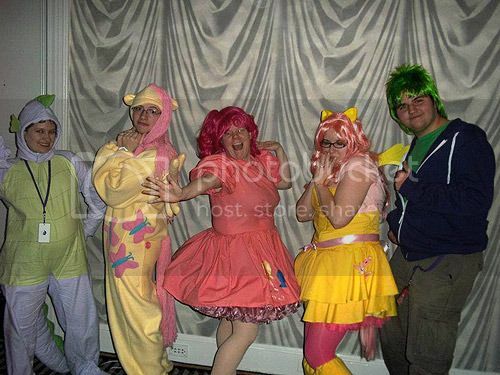 Afterwards, the few pony cosplayers took a picture! That is all. 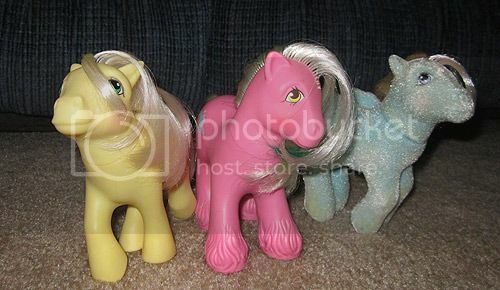 I had a very ponyfull weekend, and a great time!